Today’s post is sponsored by Cascade. As always, all opinions are my own. If you’ve been around these parts for awhile, you know that I’m pretty much a hot mess at all times. And now that we’re a family of 5, it’s become even more of a challenge to get everything done. I find myself wanting to cook less, the stacks of laundry are building up quicker and there seems to be piles of things in random places and not where they’re supposed to be. I mean, I’m not talking about an episode of Hoarders by any means but my house is definitely not a Pinterest style house at all times, it’s lived in and loved in. And that’s what my kids will remember down the road, right? But when it comes to household chores and products, I’ve learned a few things along the way. I’m by no means living in a spotless house but just doing the best I can. Which I think is the case for most busy mamas, right? Find a good partner: I’m serious about this one. My husband and I are a TEAM. I do the laundry, he folds it. I cook, he does the dishes. I could go on and on! But we find that when we both take care of the responsibilities of the house, it becomes less daunting and overwhelming. 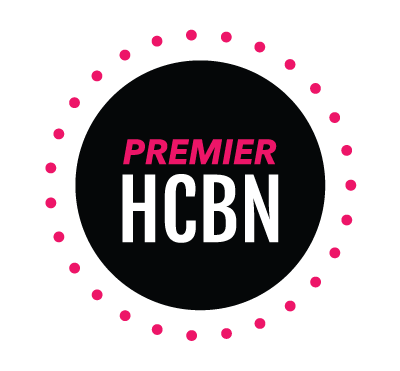 Choose smarter products: You know that whole “work smarter, not harder” saying? It applies to cleaning your house as well! Find products that work well and do a good job the first time so you won’t have to do it over and over again. 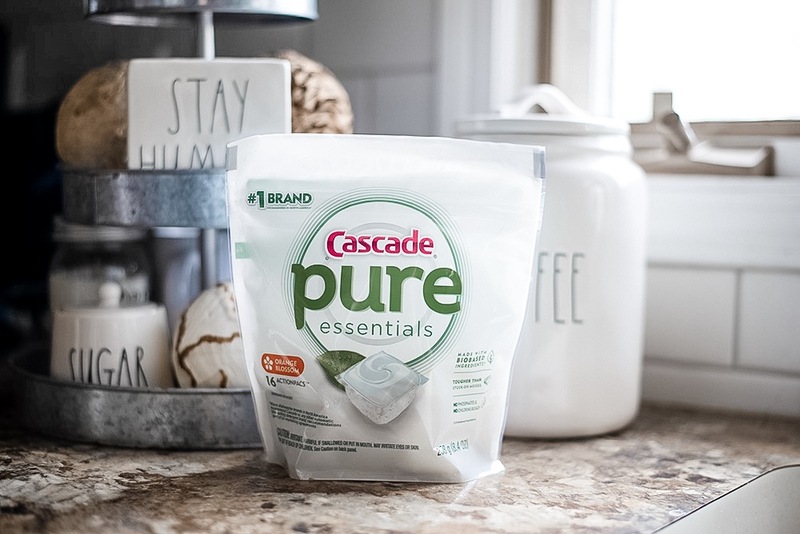 These new Cascade pure essentials ActionPacs have been a new staple in our house and my husband agrees (since he’s the one that does the dishes!) We love that these offer a dependable clean but a simplified formula free of phosphates and chlorine bleach. I also love that perfumes in the formula are infused with essentials oils that offer a light citrus aroma in two refreshing scents: Lemon Essence and Orange Blossom. Also, through the month of May, receive $1 off Cascade pure essentials item (bag or tub) using Meijer’s mPerks App.. so stock up! 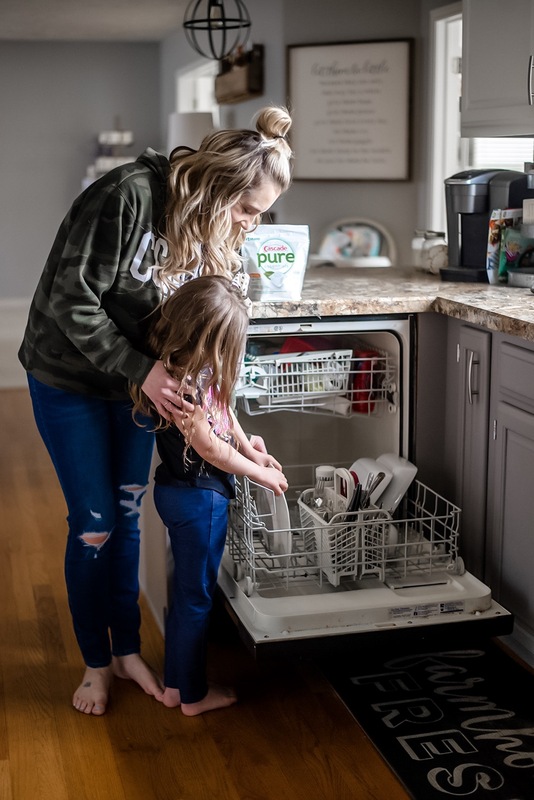 Oh and in honor of Earth Day, Meijer is offering buy one, get one 30% off all pure essentials during from 4/14-4/20 available at checkout! Take it one room at a time: If I look at EVERYTHING I need to get done around the house, I’ll shut down. It’s way too much to handle. But if I make a plan and plan on attacking one room or one chore at a time, it’s a lot more doable! Involve the kids: Make it fun! 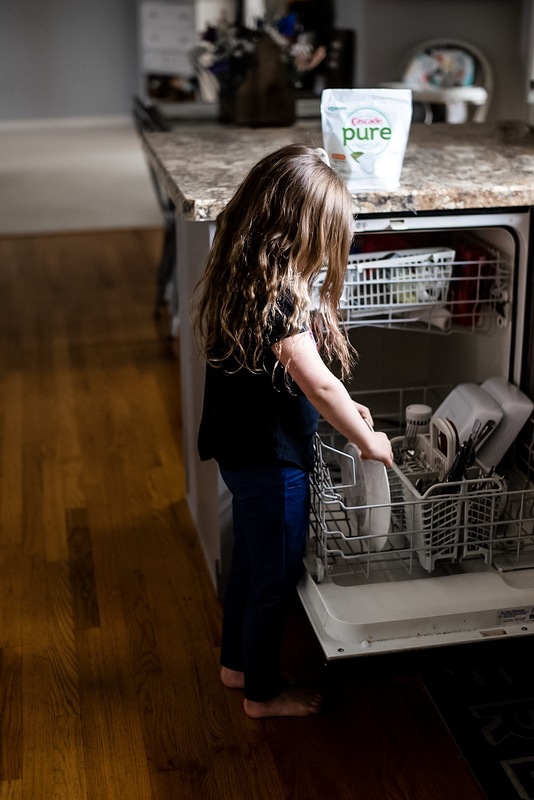 Tell them they’re your big helpers and that a clean home is a happy home (maybe if we say that enough then everyone will start to believe it). And if all else fails, throw in an allowance 🙂 I’m not above teaching them to work hard and earn some cash in the process. Like I said, I am by NO means the cleanest person in the world but I’m also not Pig Pen. I like to find a happy medium and really just do the best I can. 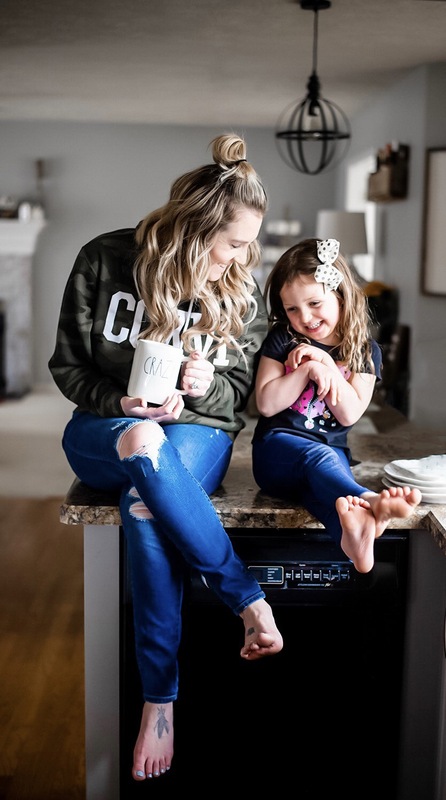 What mom hacks do you have when it comes to keeping a house clean?